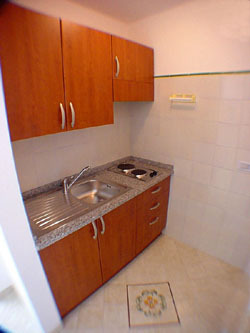 Ludovica apartments have been just built in Positano centre in a splendid panoramic position. 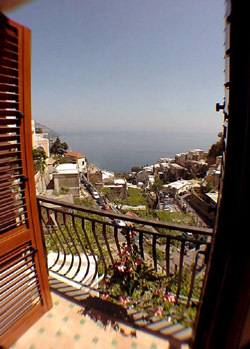 These five apartments have all of them a beautiful sea-view of the Amalfi Coast with the green orchards laying over the emerald-green sea water. 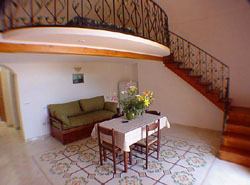 These houses are furnished with taste, with every comfort (e.g. air conditioning and TV Colour) and with the typical ceramic floors from Vietri. 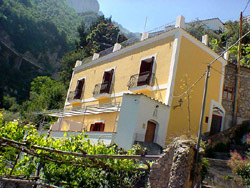 Our guests can combine the stay in Positano with the visit of the other resorts of the Amalfi Coast (Amalfi, Ravello, Vietri,) because the National Road 163 goes not so far from the apartments. 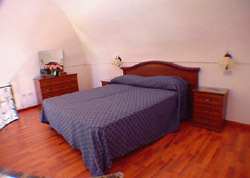 Besides, tourists cannot miss the nightlife of Positano which is one of the most exclusive and refined in Italy. Two-roomed apartment of 45 square meters (484 square feet) with an intermediate floor, sleeps 2+2, composed of: living-room with a sofa-bed for two people downstairs and a double-room upstairs, small kitchen, bathroom with shower, balcony with a splendid sea-view. Air conditioning/heating- TV colour - Refrigerator - Hair-drier - Pay car in a parking with convention (on request, see the tariffs) - Shops, bars and restaurants available nearby - Stop bus at 100 mt. away - Main beach at 1 km away with communications by hydrofoil to Capri, Ischia and Amalfi.